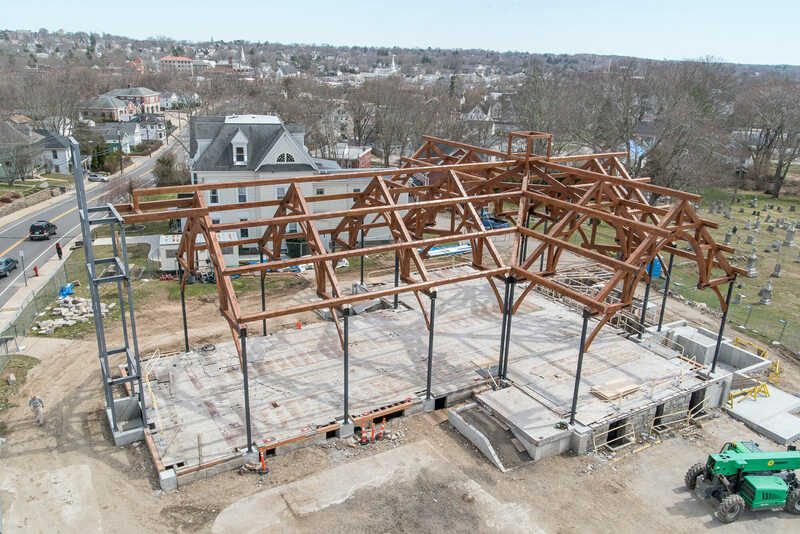 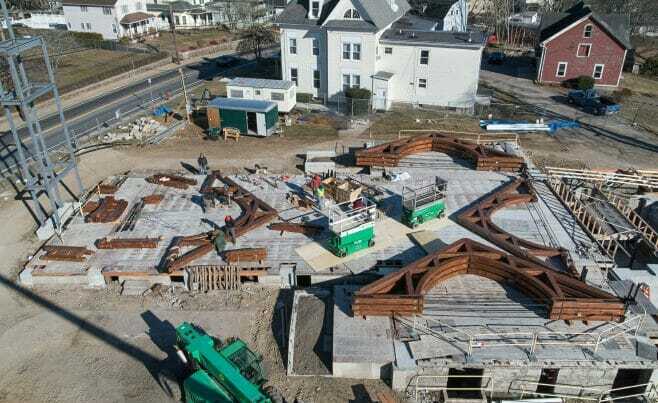 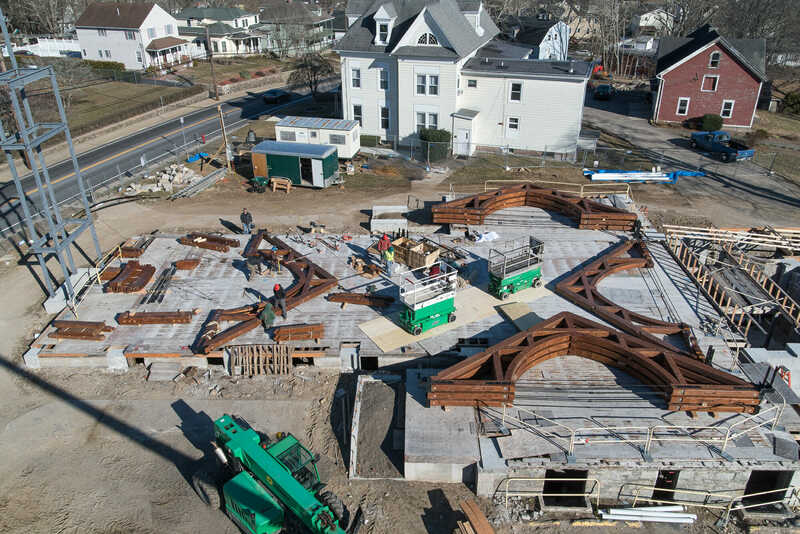 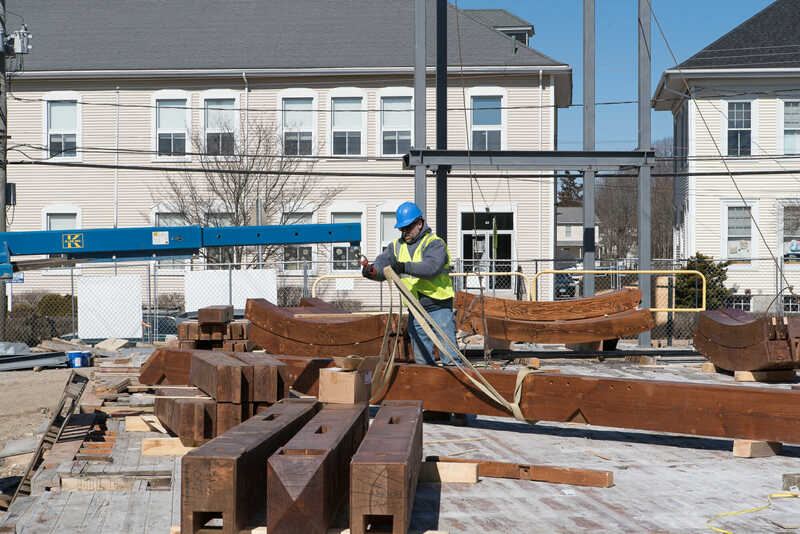 Father Perkins of St. Michael’s came to us in October of 2014 with a problem: The main sanctuary had been deemed unfit for service due to the structural failure of the 130 year old roof system. Father had received proposals for demolishing and and rebuilding the church from scratch, but the cost was simply too high for the parish to shoulder. 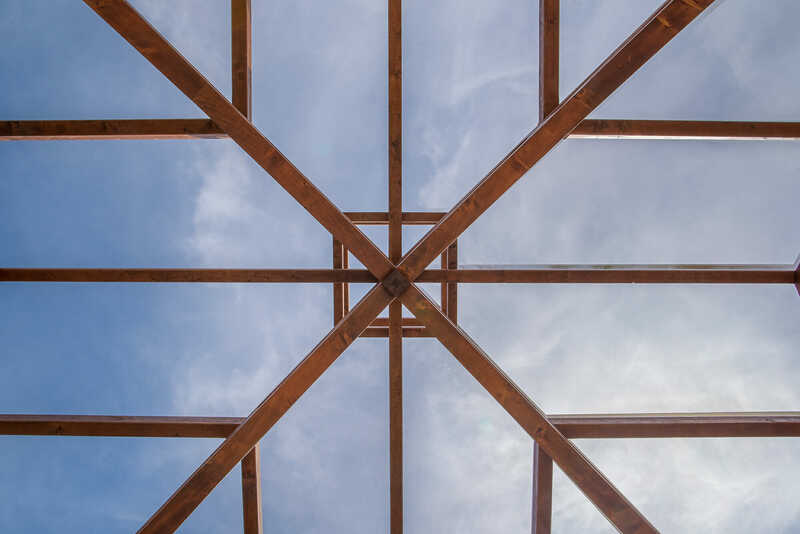 We were happy to try to help by simply replacing the roof system. 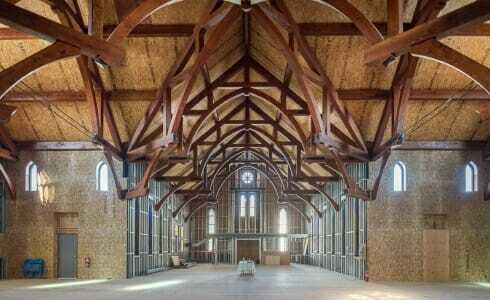 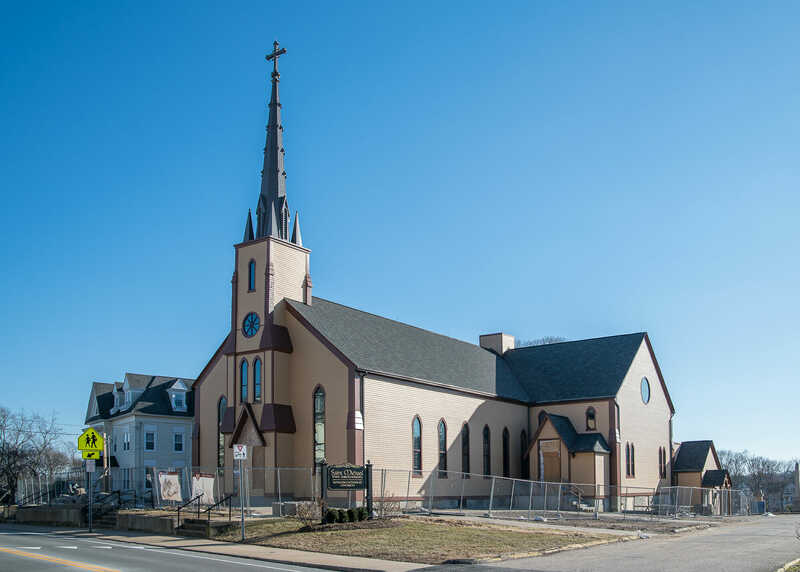 GNCB Engineers was hired early by the church for the initial structural evaluation then worked throughout the design and construction. 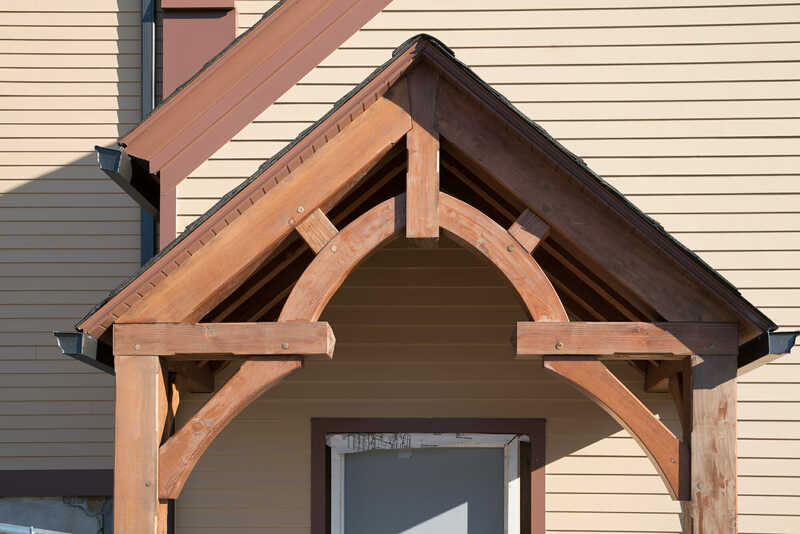 We recommended several architects for the project and The Geddis Partnership, who we have worked with on several projects, was chosen. 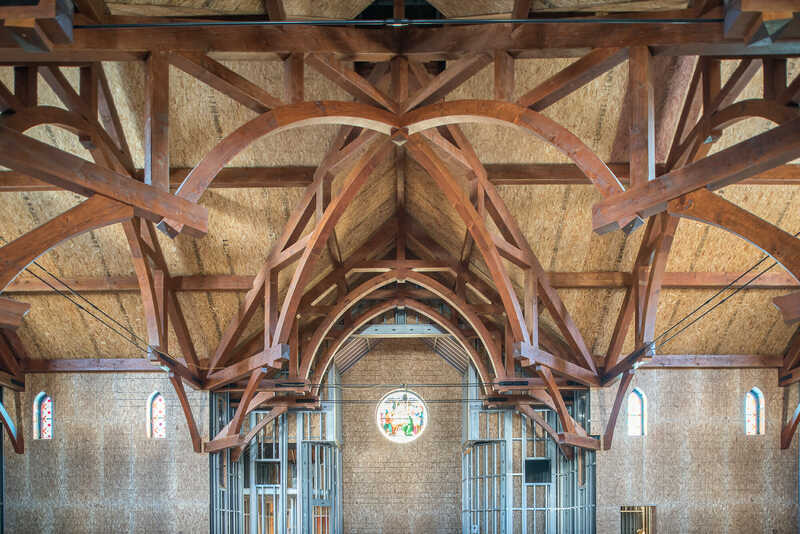 We submitted several design concepts and worked closely with Father Perkins, the building committee and the architects at Geddis to come up with a design. 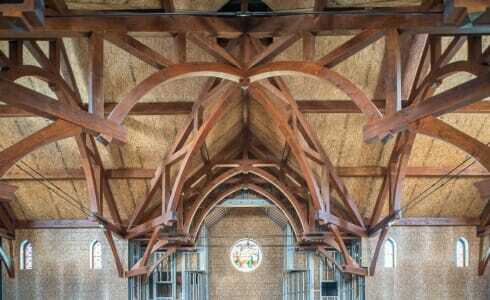 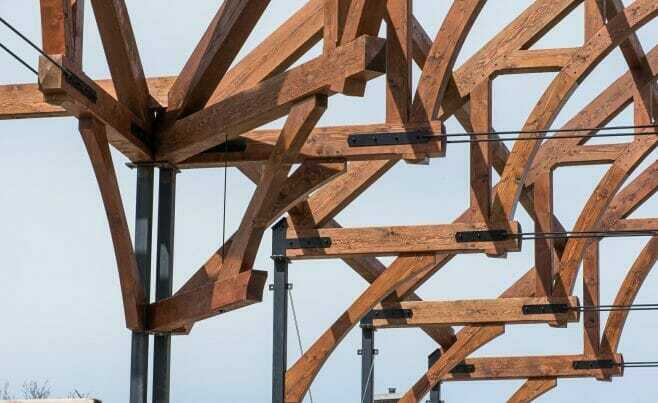 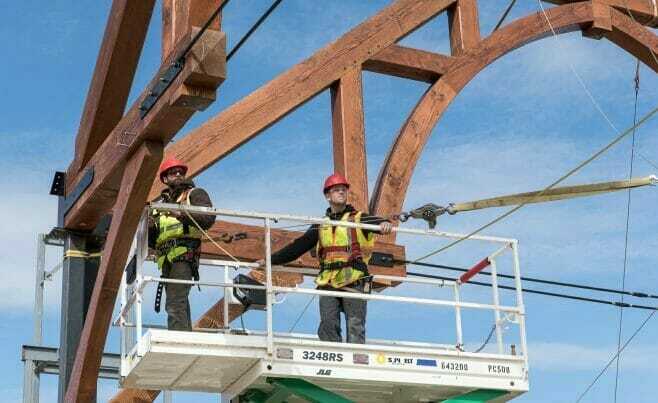 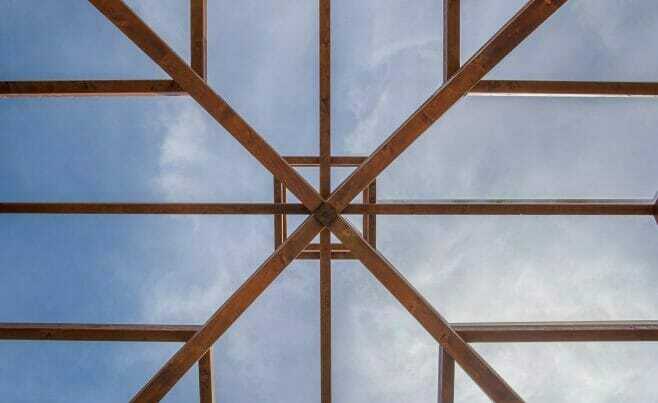 Fire Tower Engineering worked with us as consulting engineers on the heavy timber trusses. 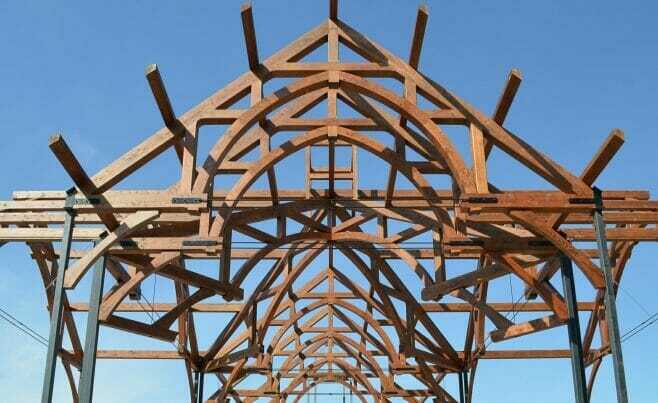 Petra Construction came on board as the construction manager and the work of deconstructing began. 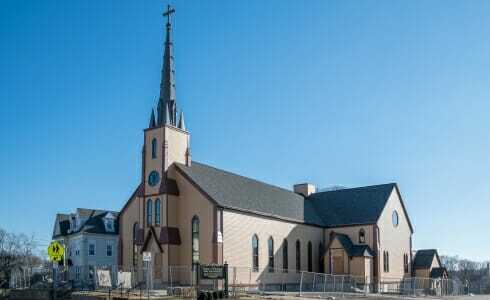 Unfortunately, while the walls of the old church were sound, they were also full of asbestos. 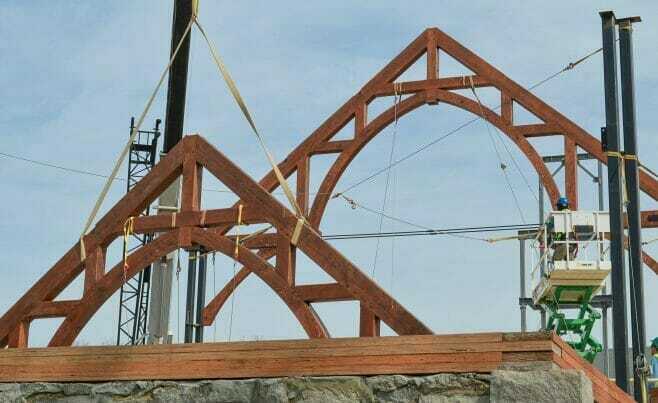 It was less expensive to take them down and build new walls (with a better window layout) than to try to same them. 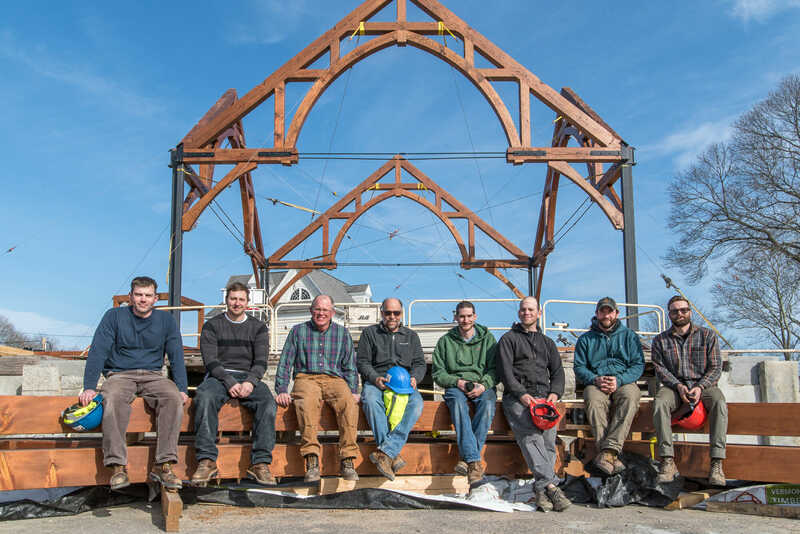 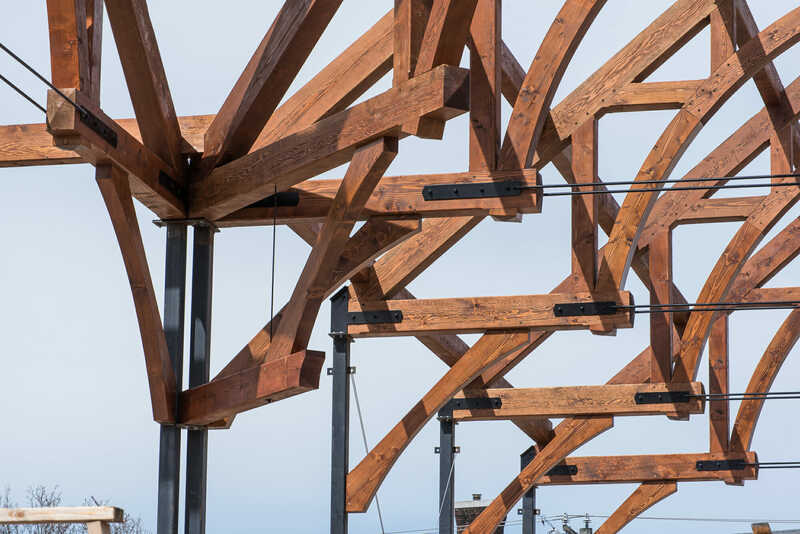 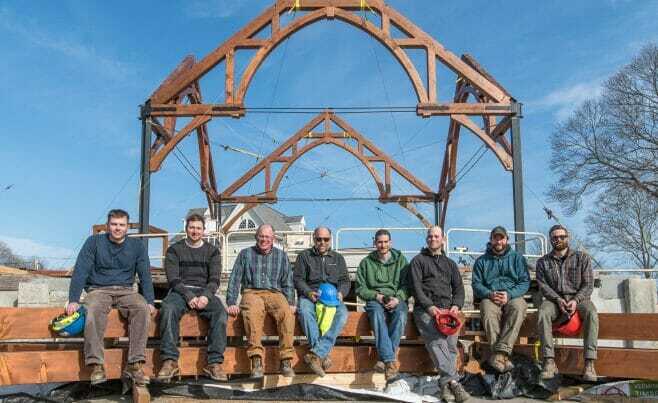 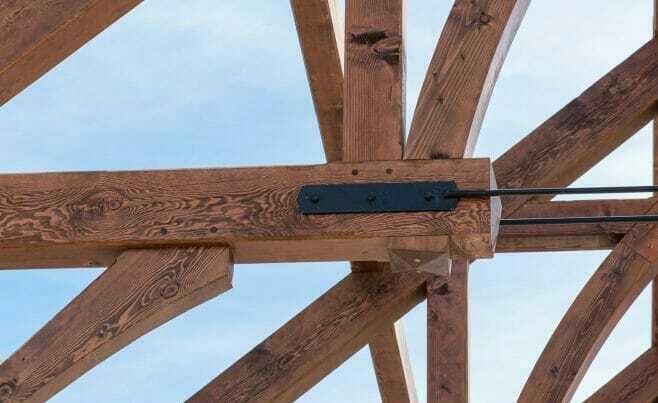 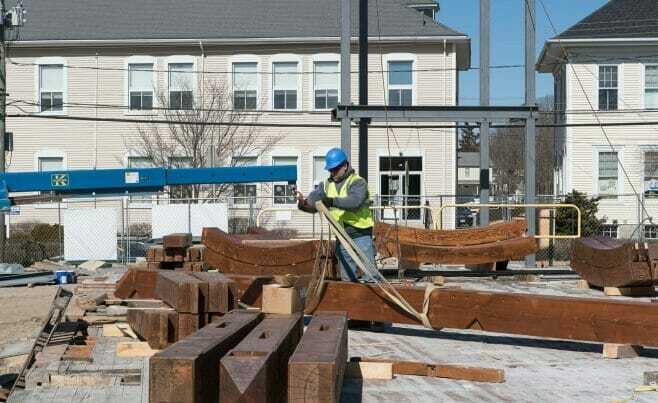 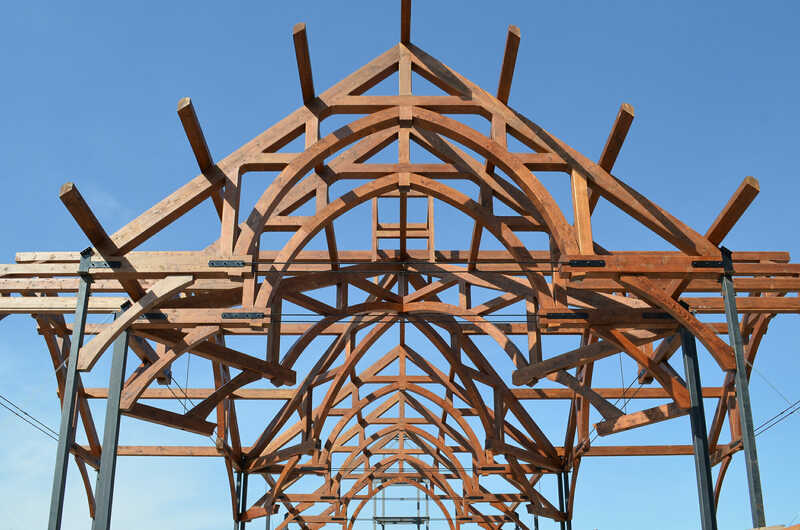 So the roof and walls came down to the stone foundation, and the rebuilding began in the summer 2016, while we fabricated the new timber truss system in our shop in Vermont. 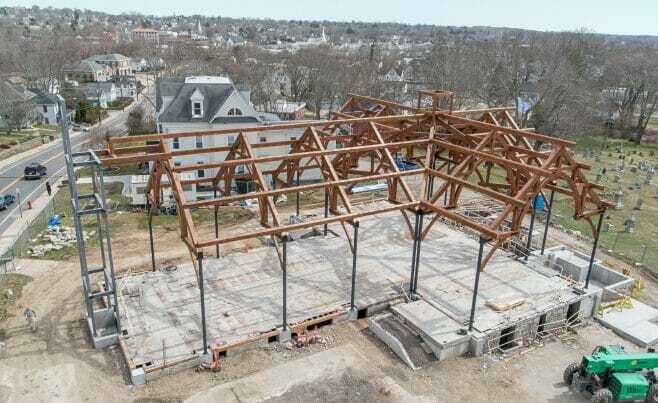 And we had the great treat of having the 8th grade students from Saint Michael School come visit our shop to see the timber beams being fabricated. 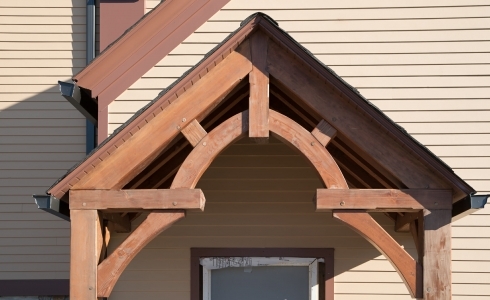 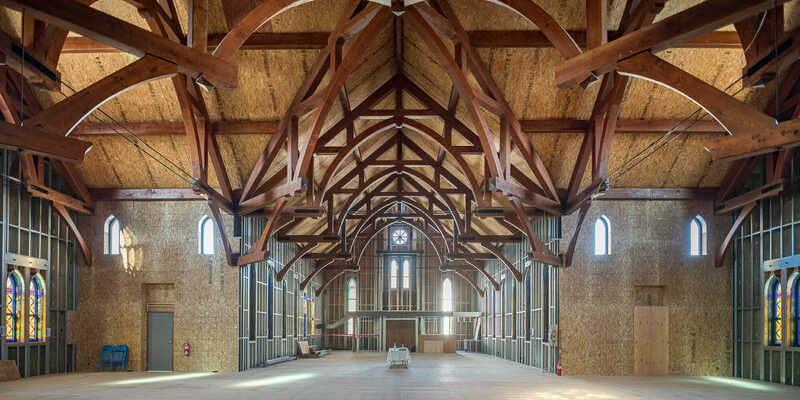 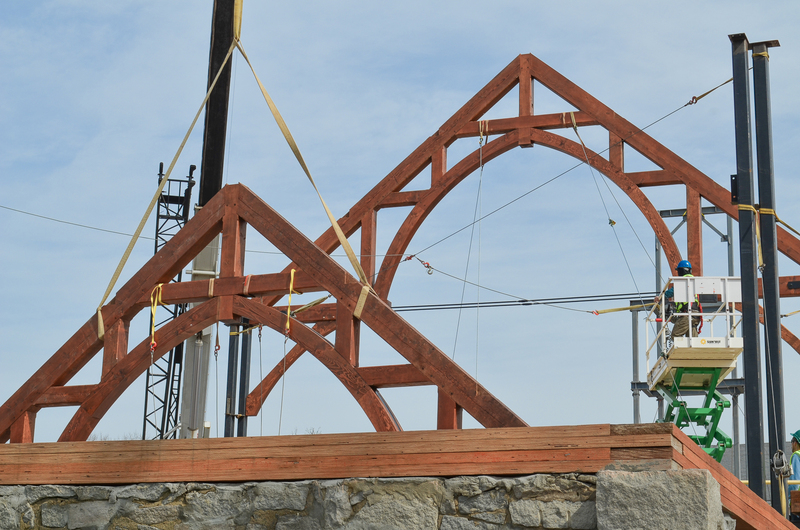 By March of 2017, the preparation was complete and we installed beautiful new timber trusses with graceful arched beams. 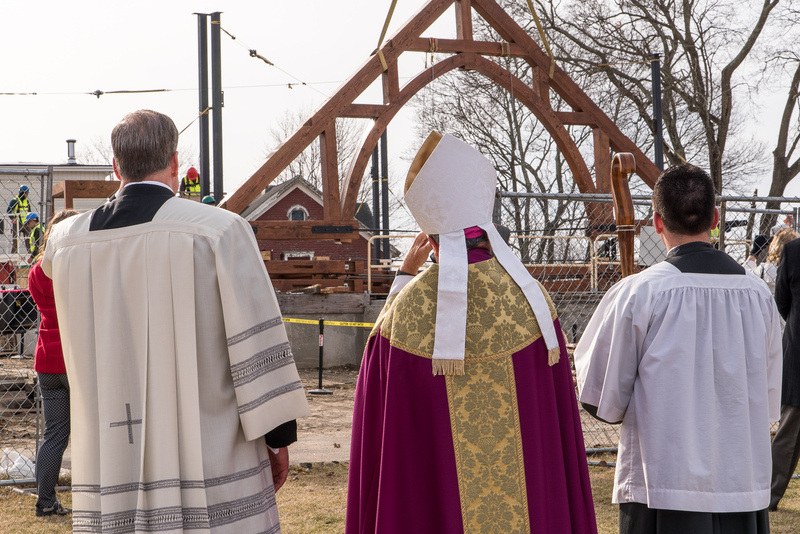 On April 3rd, 2017 the church celebrated the blessing of the first truss by Bishop Michael Cote with Father Perkins and 200 members of the congregation in attendance. 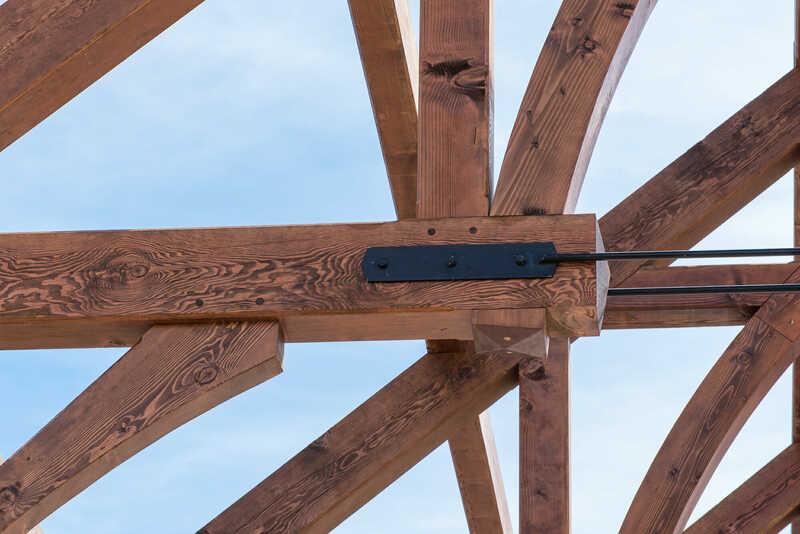 We used Douglas Fir Timber with a dark wood finish, and powder coated steel joinery to reinforce and accent the traditionally joined timber frame. 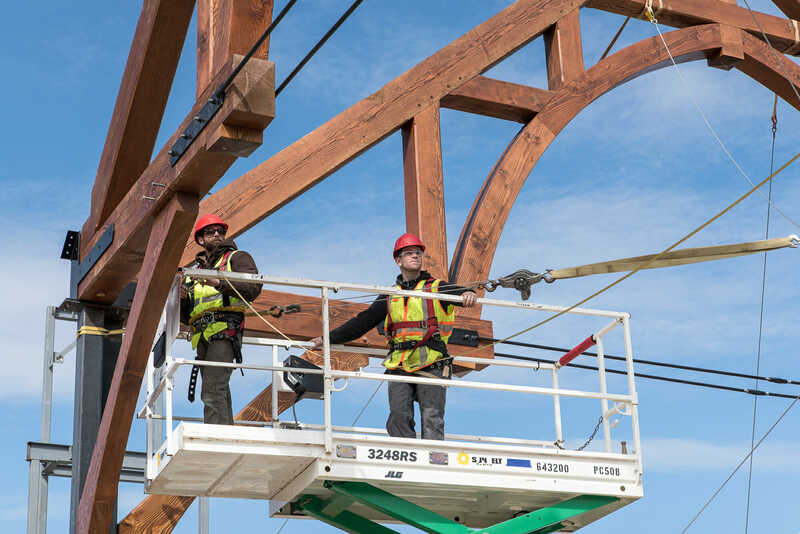 Photo and Video credits to Nathalie Belleau.